Any use of the www.themeresorts.com website, or written communication with Theme Resorts, for the purposes of travel arrangements/ accommodation, confirms that you are aged 18 or over and that you have read and fully accept these terms and conditions. These terms and conditions are devised for the protection of all parties. The Theme Resorts website is owned and operated by Theme Resorts & Spas (PVT) Ltd, with offices located at Theme Resorts & Spas, “LE CUBE”, No. 130, High Level Road,Colombo 06. Customers are responsible for reading the terms and conditions including booking conditions which are available at www.themeresorts.com/terms-and-conditions.html. You agree to abide by the terms or conditions of purchase imposed by Theme Resorts with whom you elect to deal. You understand that any violation of any such conditions of purchase may result in cancellation of your reservations or purchases, in your being denied access to any hotels, in your forfeiting any monies paid for such reservations or purchases, and Theme Resorts debiting your account for any costs we incur as a result of such violation. You will be completely responsible for all charges, fees, duties, taxes, and assessments arising out of your use of this website, and, without limitation, you will be responsible for all charges, fees, duties, taxes, and assessments arising out of transactions performed by others on your behalf, whether or not such uses were performed with your consent. If balance of payment is due for your travel arrangements/hotel reservation, the balance payment must be paid by you before leaving the hotel. Payments for full or part payment for the travel arrangements/ hotel Reservation may be made either by 1) bank transfer or 2) credit card (Visa, Mastercard). If paid via bank transfer, all additional charges and fees related to the transfer will be borne by you. If paying by credit card you can either pay through 1) the secure internet payment gateway facility available on our website www.reservations.theme-resorts.com/ or 2) you could do so by filling in, signing and returning to us a credit card authorization form that we will send to you indicating the total amount due. Providing Theme Resorts & Spas this information in a form via email or fax us at your own discretion/risk. Your payments are processed entirely on the Secure Payment Sites operated by The Hong kong and Shanghai Banking Corporation Limited (HSBC) for Master and Visa card payments. Your card details are not received or stored by Theme Resorts & Spas. in any form, and when you place an order as part of the checkout process you are automatically taken to the HSBC Secure Payment facility for Master and Visa card payments. Your credit card information will be securely transmitted to HSBC for transaction authorization using SSL 128-bit encryption. All payments are denominated in United States dollars (US$) SSL, security internet protocol known as Secure Socket Layer, uses connection-oriented end-to-end encryption to provide data confidentiality service and data integrity service for application layer traffic between your web browser and the secured HSBC payment gateway servers. It provides data encryption, server and client authentication and message integrity between the client and the web server. The price of Your travel arrangements/ hotel reservation is subject to the possibility of changes and surcharges beyond our control and may occur because of governmental action, currency exchange rate fluctuation and increases in suppliers’ prices as an example. If the price of Your travel arrangements/hotel reservation is increased by any matters outside our control then you must either pay the additional price to us when we request it or cancel Your travel arrangements/ hotel reservation in accordance with these Booking Conditions. 0 to 4.99 years old is considered as ‘Infant’ and will be FOC when sharing parents bed. If an extra bed is required, there will be an additional supplement as specified by the relevant resort. 5 to 11.99 years old is considered as ‘Children’ and the respective resorts Child Policies and rates will apply to them. 12 years old and above will be considered as ‘Adult’. 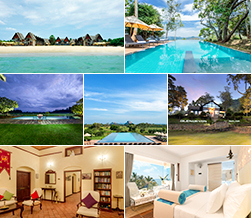 The rates listed on the online booking engine may vary depending on if guest is a Sri Lankan, Sri Lankan resident visa holder or a foreign national. These rates may/will vary depending on the nationality of the guest who is attempting to make a reservation through the online booking engine. Each section may have different rate structures depending on the offers available and the guest will be able to make a reservation depending on all the criteria of the booking conditions being met. If all the requested criteria’s are not met, Theme Resorts & Spas has the right to request the guest to amend the reservation or cancel the reservation (See disputes section for more information). Sri Lankan’s and Sri Lankan resident visa holders should contact our corporate office for applicable rates. If a foreign national makes a reservation on the Sri Lankan rate, then the difference between the Sri Lankan rate and the standard foreign rate will have to be paid at the hotel during check in. Different rate categories are listed on the online booking engine, regardless of the currency it is listed under or/and the offer(s) available is subject to change at the discretion of Theme Resorts & Spas. Since rates are subject to change frequently there might be more than one rate for a given date. Once the confirmation voucher is generated through the booking engine and provided that the booking is within the cancelation period. (Please see below for more information about amendments and cancellations) it is not possible to change/amend the original rate the reservation was confirmed under. While we will use our best endeavors to provide all travel arrangements/hotel reservations as confirmed, reasonable changes in the reservation may be made after notifying You. If cancelled up to 30 days before date of arrival no fee will be charged. If cancelled later or in case of no show, the total price of the reservation will be charged. For cancellations and amendments the General Cancellation Policy of Theme Resorts & Spas will be applicable. 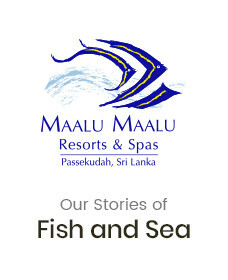 Specific Cancellation Policy will be applicable under the relevant resort or Special Offer. Cancellations received with less than 30 days notice is subject to a 100% cancellation fee. The cancellation policy will be applicable to the original date of arrival and not to the extended date of arrival. If the date of arrival is brought forward, the cancellation policy will be applicable to the original date of arrival. The cancellation policy for special offers [including the Early Bird Offer stated above] will be clearly depicted on the more information section on the Internet Booking Engine (IBE), under the terms and conditions section on the IBE and website. In case you wish to change your existing booking to another Theme Resorts & Spas, hotel, you’re entitled to transfer the full sum of money towards the new booking and pay the balance. You may mail your changes to reservations@theme-resorts.com should you require such a service. Sorry we will not be able to refund any excess money, instead you will be entitled to utilize against extra expenditure at the hotel during your stay. If the rate for the alternate reservation date(s) is less than the original rate, the excess money can be utilized against extra expenditure at the hotel during your stay. If the rate for the alternate reservation date(s) is higher than the original rate, the balance must be paid by you before departure. Airport Transfers can be arranged at favorable rates. We would require your confirmed flight details to arrange and confirm airport transfers and rates for the same. Please send the details to reservations@theme-resorts.com or to the reservation email address of the respective Resort. Please note that an external vendor or subsidiary or associate company may be used to provide transportation to, from or between the resorts. The guest must have a confirmed reservation made through www.reservations@theme-resorts.com . The confirmation email sent after making the online reservation will be considered as proof of reservation. If a dispute arises with regard to a reservation made with any Theme Resorts or a hotel managed by Theme Resorts, then Theme Resorts (PVT) Ltd. has the sole authority to cancel the reservation by informing the guest via email. The reservation amount will be refunded in full minus any bank charges to the credit card or bank account of the guest. You are strongly recommended to take out personal travel insurance, at the time of booking, for all members of your party. It is your responsibility to ensure that the insurance you purchase is adequate. Booking acceptance shall be deemed to include your confirmation that you have taken out such insurance. We will only accept liability for incidents that arise as a direct result of our proven negligence, or that of our suppliers, in respect of arrangements forming part of your holiday itinerary, in cases where all your holiday accommodation, transfers, excursions, activities and sports which are arranged by us for the entire extent of your stay. This applies to illness, injury and/or death. Theme Resorts & Spas cannot be held responsible for the failure of any component of the holiday for which we do not have direct responsibility. This includes any difficulty in finding hotels if customers choose to arrange their own transport. We assume no responsibility for any loss, damage to baggage, property or for injury illness or death or for any damages or claims however so caused arising directly or indirectly from accidents, loss or damage to person or property, delays, transport failures, strikes, war, force majeure, Acts of God etc. or any other loss arising from or pursuant to Your Travel Arrangements./hotel reservation. We accept responsibility for ensuring the rooms which you book with us are supplied as described and that the services we are contractually obliged to provide are to a reasonable standard. You are responsible for compliance with all relevant regulations applicable to the resorts during your holiday. If in the opinion of our Management your behavior is disruptive or causing distress, injury or danger to other clients, our staff or any other third party, your reservation may be terminated and we shall not be responsible for any costs or claims that are incurred. When your booking is confirmed with us, a contract between Theme Resorts & Spas and / or you is constituted. That contract and these Booking Terms and Conditions shall be governed in all respects by the laws of Sri Lanka. If your complaint cannot be resolved locally during your stay at the Resort. you must follow this up by writing a formal complaint letter to us within 28 days of your return home incorporating all other relevant information. It is a condition of this agreement that you communicate any problem relating to the standard of service or accommodation arrangements to the relevant authority at the Theme Resorts you will be staying in. If still not resolved then follow this up with a written complaint. If you fail to follow this simple procedure we cannot accept responsibility as we have been deprived of the opportunity to investigate and rectify the matter. Theme Resorts. does not guarantee that all information available is free from errors or omissions but we will use all reasonable endeavors to correct any errors or omissions once notified of them. Our opinions are our own. Whilst we rigorously strive for accuracy, these opinions are necessarily subjective to some degree. Our website may contain links to websites operated by parties other than the Theme Resorts group. Those links are provided to you for your reference and convenience only. We do not own or control the content of those websites and are not responsible for their content or your use of them. Theme Resorts & Spas (PVT) Ltd accepts no liability for any virus or any other type of electronic infection that may be transferred through the site. Under no circumstance will we be liable for any loss or damage caused by a user’s reliance on information obtained through this site. The copyright and all other Intellectual Property rights in all of the material on this website are owned by Theme Resorts & Spas. Copying of any part for commercial or business use without our written permission is strictly prohibited. The above terms and condition are valid from the 1st of January 2014.